I have mentioned before that I love me a good contour, nothing better than some Kim K. cheekbones if you ask me, but of course in a more natural way that I can actually manage to pull off. This is where my new found routine has come in. This is for those days when I have the time to focus more on my contouring & highlighting in order to achieve a flawless base with definition in all the right places. Because I'm not going to lie most days it is rush to slap on that bronzer or it's just a bare face day if I don't even have the time at all. But every now and then, it's definitely nice to spend that little bit of extra time perfecting your look and this is where this contouring routine comes in. For this I will be using 5 products, which might seem like a lot but again this look isn't really for that everyday makeup face. From countless of videos watched on contouring and with the skills I picked up during my makeup course, this is the routine I have come up with, which works for me. Step 1. Bronze up the face using a bronzing primer in all the right areas, depending on how much definition you are looking for and what your face shape is. 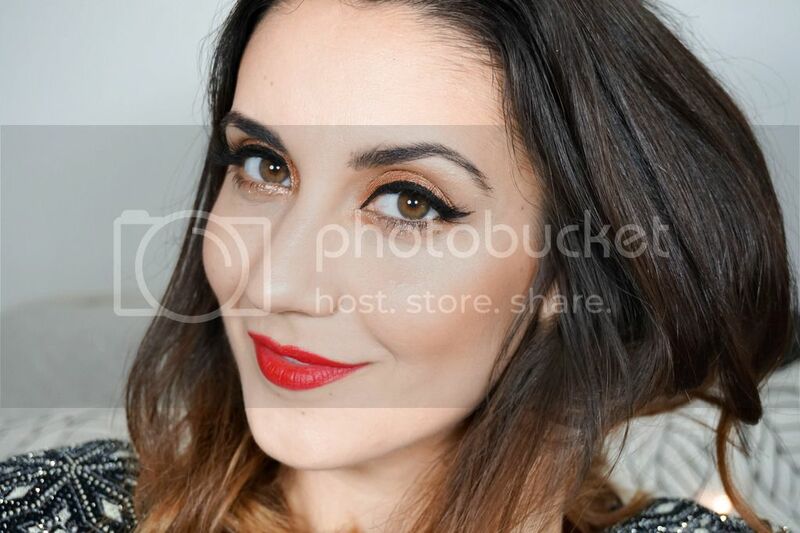 I use the Bourjois Bronzing Primer, which I like to use before foundation and I mainly focus on the cheekbones. 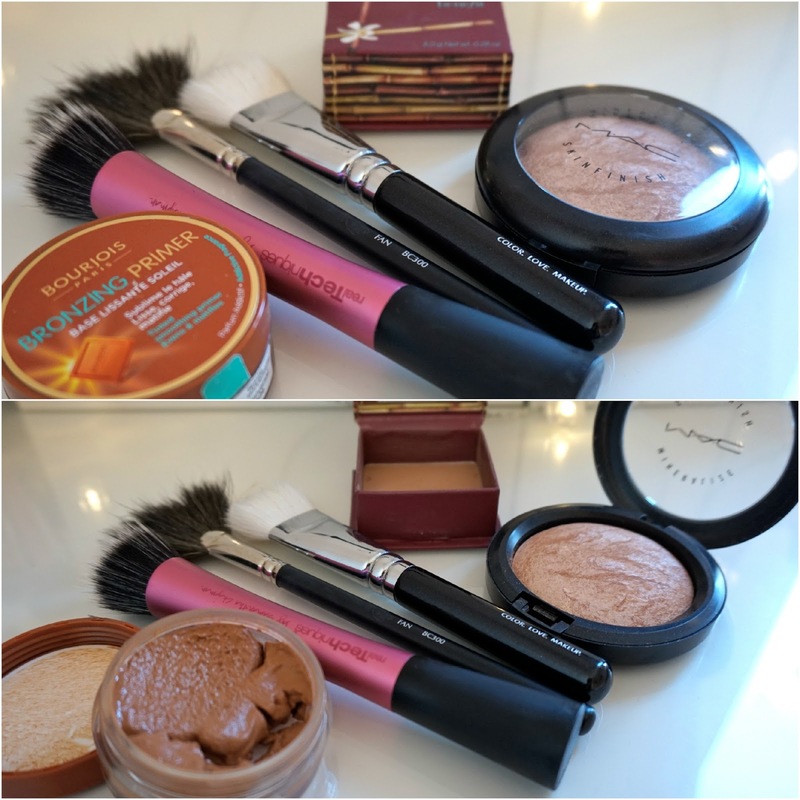 I apply using the Real Techniques Stippling Brush and then continue to apply my foundation and concealer like I usually would do. Step 2. 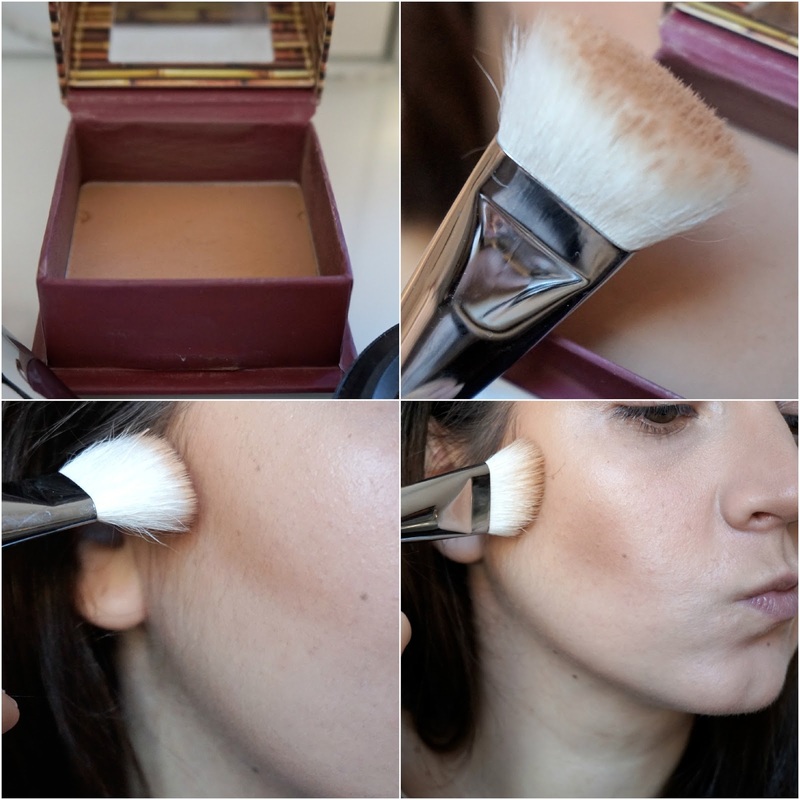 Use a good matte toned bronzing powder over the same areas you concentrated on before with a good contouring brush. Most importantly blend, blend & blend some more into the skin for that natural look. I like to use my trusty Benefit Hoola powder with my new found love, the Zoeva Face Paint Brush. I find that this duo work perfectly together to really help me achieve the cheekbones I lust after. 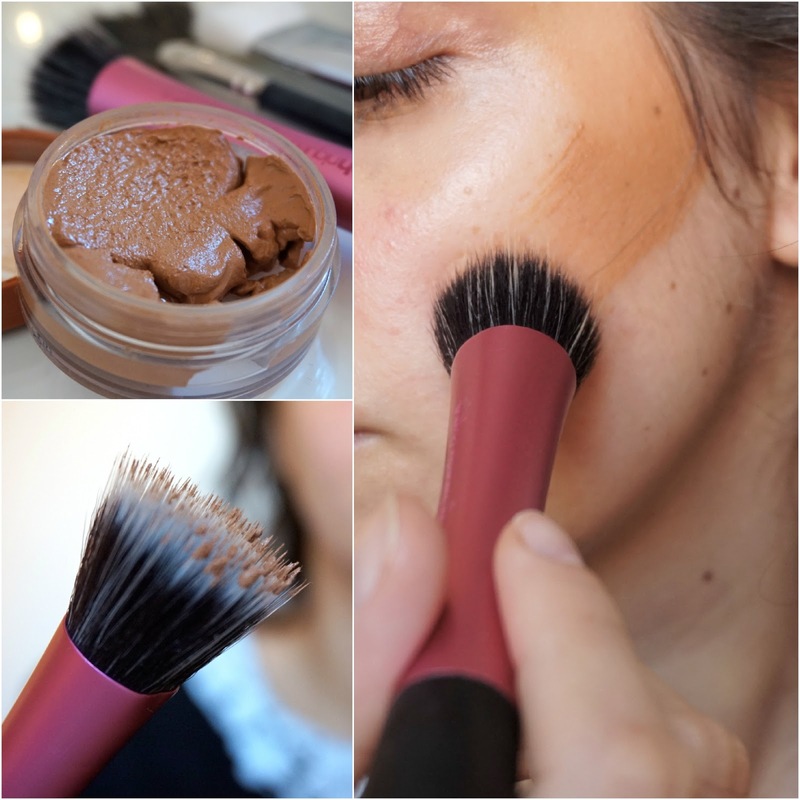 This contour brush with its unique shape, is perfect for any other areas of the face also such as the nose, temples or neck. Step 3. 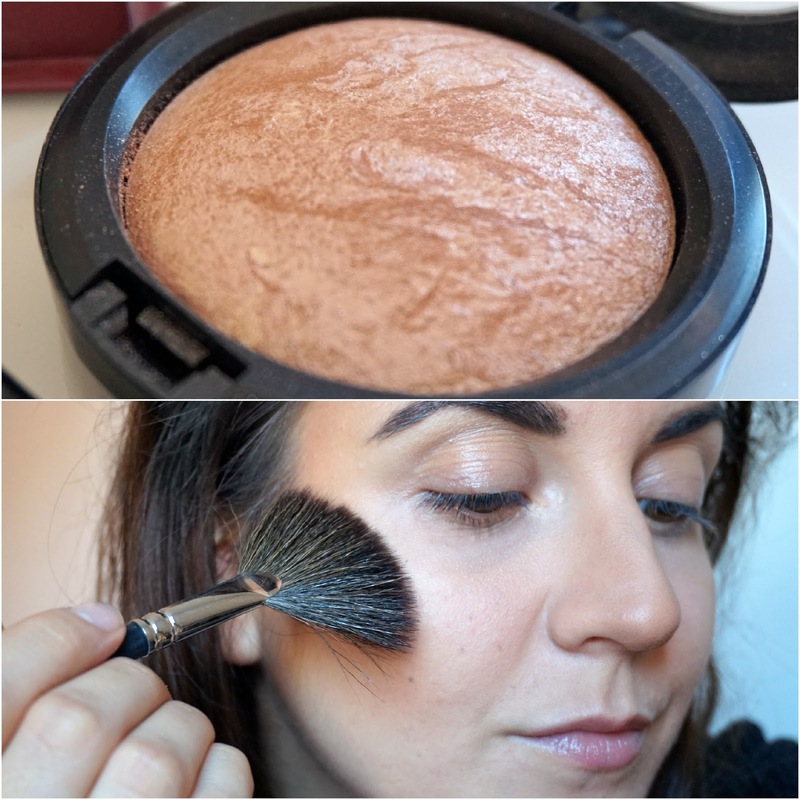 Now to balance out the bronzer and add some light to your face you need to apply a gorgeous highlighter to the top of cheekbones and under the brow bone. This will really bring the whole contouring together and make those cheekbones pop out even further. If you really want to go all out, you can even add this to the bridge of your nose and the top of your lip (cupid's bow). Try to avoid chunky glitter here and opt for subtle shimmer instead, using a light hand.